This addon module once activated on your site will protect every page from known malacious users (IP Addresses) gathered from various sources around the internet, and compiled into a common database. Each IP is "scored" base on threat level. You configure the threat level in which to block from accessing your site with a "403 Access Denied" response. 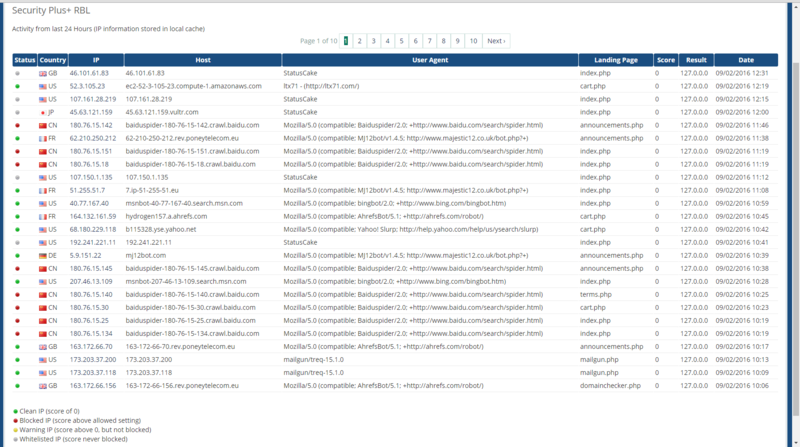 This module uses DNS queries just like spam blocking lists (spamcop, etc..). DNS queries are extremeley fast, and should not slow down your site whatsoever. Plus, you have the option of contributing your own IP's (from your ban list, and Fraud orders), that will be added to the database in real-time, and distributed to all our DNS servers. The end result, is a community based blacklist that will protect all WHMCS users from known abusers and fraud in real-time. The more that participate, the better the data and faster the updates. IP's with no activity, or reports will naturally drop off the list after 30 days. This addon is currently free (for up to 5000 RBL queries per month). 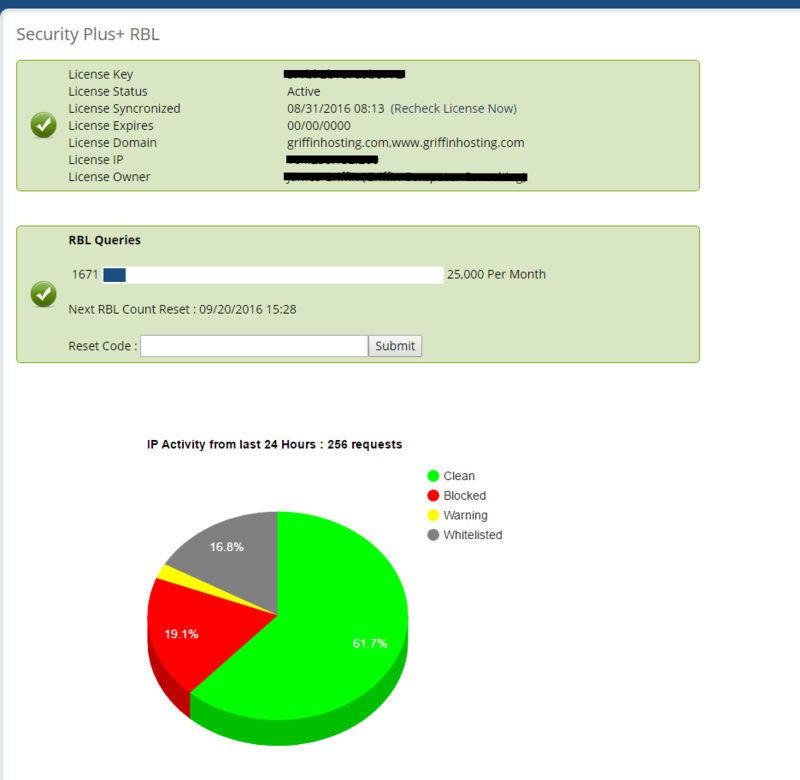 Active users of the original Security Plus+ product (with a current paid license), will receive an additional 5000 RBL queries per month for a total of 10000. Be the first to review Security Plus+ RBL. Added support for WHMCS 7.X and PHP 7.X.